 Investigations into this vast area of mathematics in Warsaw rest on the solid foundations laid by the Warsaw School of Mathematics (Borsuk, Eilenberg, Kuratowski, Mostowski, Sierpinski, and others). The most active directions of research pursued in these days are associative algebras, geometric group theory, algebraic geometry and differential geometry. Research in associative algebras (Hajac, Okninski, Puczylowski, and Matczuk) is concerned with their structure and is partially motivated by non-commutative geometry, the theory of quantum groups and possible applications in theoretical physics. The main research problems concern semi-group rings and their deformations, Hopf algebras, representations and combinatorics of other finitely presented algebras which turn up naturally in the context of applications mentioned earlier. For example, one of the key problems is classification of algebras of low Gelfand-Kirillov dimension. In the related field, group rings are studied by Marciniak. The research in general topology (R. Pol, Torunczyk, Marciszewski) is based on the classical achievements of the Warsaw School of Mathematics; the same concerns also algebraic topology (Betley, Jackowski, Traczyk). The objects of geometric group theory (Januszkiewicz, P. Nowak, P. Przytycki) are primarily spaces of non-positive curvature: CAT(0)-spaces, simplicial and other kinds of combinatorial non-positive curvature spaces. There are applications to special classes of groups: Coxeter groups, Artin groups, and groups acting on buildings. Other applications are related to metric graph theory, statistical mechanics and billiards, configuration spaces, and topological robotics. One of the current directions of research is associated with introducing non-positive curvature tools into the study of projective varieties in order to deal with asphericity and hyperbolicity of ramified coverings. The present research in algebraic geometry concentrates on enumerative geometry and singularities (Pragacz), group actions (Koras), affine geometry and cryptography (Jelonek), toric geometry and applications in phylogenetics (Wisniewski) and on moduli of coherent sheaves and geometry in positive characteristics (Langer). This last research field concerns problems lying on the border of algebraic geometry and number theory, including the study of the algebraic fundamental group and of variation of algebraic objects upon a change of the characteristic, which has some stunning applications. For example, the Grothendick-Katz p-curvature conjecture tells how to find criteria for a differential equation to have a full set of algebraic solutions, using positive characteristic methods. Recently, the positive equi-characteristic version of this conjecture has been proved by Esnault (Essen/Paris) and Langer. The differential geometry group (Grabowski, Jakubczyk) is focused on mathematical physics, mainly classical and quantum mechanics, and control theory. They lead a Algebra-Geometry-Physics seminar, a unique Warsaw initiative whose purpose is to create a permanent place where mathematicians and physicists can interact. Cooperation with the physicists within the team has brought new ideas even to such well-established areas as analytical mechanics, optimal control, Poisson geometry, and quantum information. The main directions of the current research concern,among other topics, graded differential geometry, hidden structures of jet bundles, geometry of entanglement and quantum information. The main directions of the current research concern, among other topics, graded differential geometry, hidden structures of jet bundles, geometry of entanglement and quantum information as well as analytical mechanics and optimal control on Lie groupoids and Lie algebroids.